All right, y'all: as of this very minute, I am officially a Published Author. The book's out. The guest posts are (mostly) in. And that means it's time to celebrate! Grab your Solo cup and 140 of your favorite characters, cuz we're fixing to have us a Twitter party. 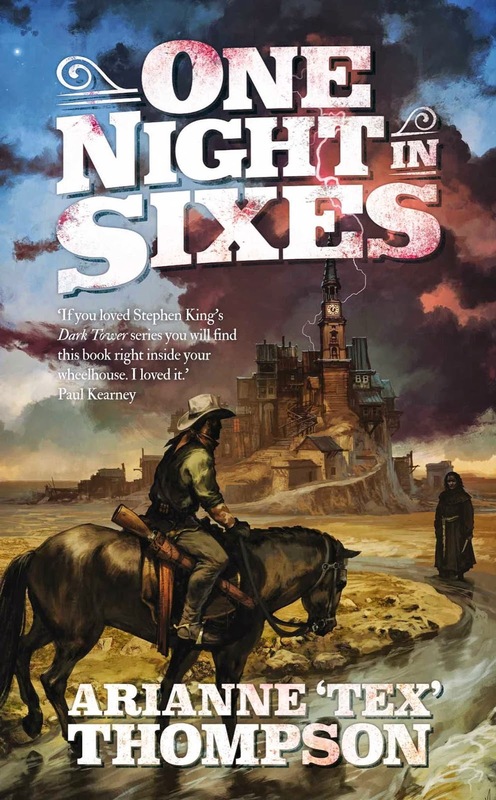 The book, of course, is about a couple of clueless cowboys who go to a weird little border town called Sixes, and end up in a whole heap of trouble. We've all been there. A crazy night at the bar, missing the last train home, waking up in Vegas to find a tiger in your bathroom - it happens! #onenightin Fort Worth, we partied so hard that I slept in my car, then got changed in a QuikTrip bathroom before work the next morning. #onenightin EverQuest, I stayed up literally all night trying retrieve my corpse. Freaking Dalnir. #onenightin Minneapolis, I ate double-fried chicken so good, my arteries actually *crystallized*. 1. You must use the "#onenightin" Twitter hashtag for your entry to be valid. 2. You can write as many as you want, but only your first three entries will be eligible for the contest. 3. The deadline is midnight CST on Saturday, August 2nd. 4. The winner will be randomly chosen from all valid entries, and announced on Sunday, August 3rd. The winner will have one week to claim the prize (I'll need your email address to coordinate the logistics.) If the winner doesn't respond, I'll do a second random drawing and choose a new winner. 5. This contest is open to players 18 and older, in any country where it's legal. So go! Do it! Have wild life-changing experiences, and then tweet about them - because if there's one singularly appropriate way to celebrate this book, it's by chronicling some catastrophically memorable moments...! Aw, thanks, Laura - missed you last night, but had a great day!